PennsylvAsia: English dub of Fate/stay night: Heaven's Feel 1. presage flower (劇場版 Fate / stay night [Heaven's Feel] 第一章「presage flower」) in Pittsburgh, June 5 and 7. English dub of Fate/stay night: Heaven's Feel 1. presage flower (劇場版 Fate / stay night [Heaven's Feel] 第一章「presage flower」) in Pittsburgh, June 5 and 7. 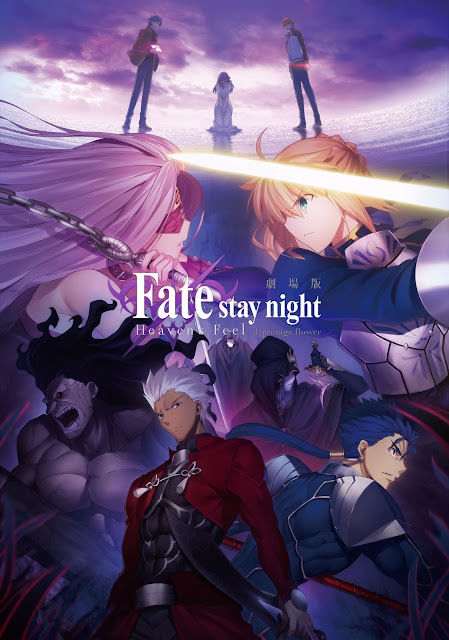 Based on the wildly popular Fate franchise that gave anime fans Fate/stay night [Unlimited Blade Works], Fate/Zero, and the hit mobile game Fate/Grand Order, the first film in this movie trilogy explodes with epic action and heart-wrenching drama, tied together by original author Kinoko Nasu’s unique storytelling and otherworldly cast of characters. For the first time ever, movie-goers will experience the film’s English dub along with the despair, romance, and terrifying secrets of the Holy Grail War with protagonist Shirou Emiya in the first chapter of this high-stakes trilogy. The Japanese version played in Pittsburgh in November. Tickets for the two 7:30 shows are available online via the Cinemark website.